When you own a football team, the home you can afford to live in is almost certain to be quite the spectacle. And Dan Snyder sure isn’t going to disappoint us with his (not so humble) abode. And lucky for you, if you’ve been dreaming of living in a home once occupied by the Redskins owner, you are in luck, because he’s putting it on the market. 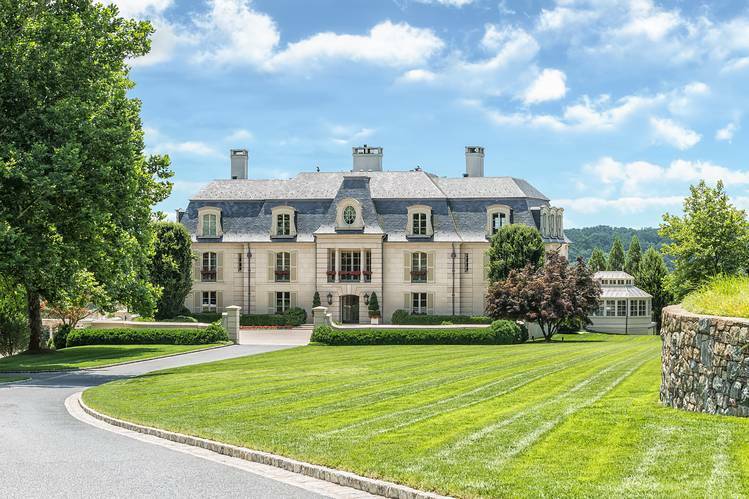 The mansion is located in Potomac, Maryland, one of the wealthiest cities in the Washington, D.C., metro area. Potomac can be characterized by grand, sprawling homes in beautiful, leafy neighborhoods. Dan Snyder’s home is a completely custom mansion, currently for sale for a casual $49 mil. To be somewhat fair to him, it has 30,000 square feet -- so, probably 29,500 more than you do right now. It also has two guest houses for all your important visitors. Oh, and before I forget to mention it, there's a 12-car garage. Just in case. Of course, every inch of the exterior and interior is covered in expensive finishes -- like custom limestone from France for the façade. The main home has five total bedrooms, but the master suite is like a house all by itself. There's also a gym, library, state-of-the-art kitchen, wine cellar, formal dining room, and much more. The outside features a basketball court (which is Redskins-themed, and I’m almost surprised it’s a basketball court and not his own personal football field!) and a swimming pool. Basically, if you’re looking for over-the-top luxury, you’ve found it here. You can read more about the home as well as Dan Snyder’s background (so you can figure out how in the heck he managed to buy this in the first place) here. What do you think about this mansion? Is it a dream house or too much? Share your thoughts in the comments below! Featured image courtesy of Wall Street Journal. Interested in other celebrities' local homes? Astronaut John Glenn's Bethesda home recently sold for $1.3 million.